Sri City, July 21, 2016:- The ever changing technologies and the pressing need for increasing competitiveness in the manufacturing sector are necessitating the need for introduction of new approaches. 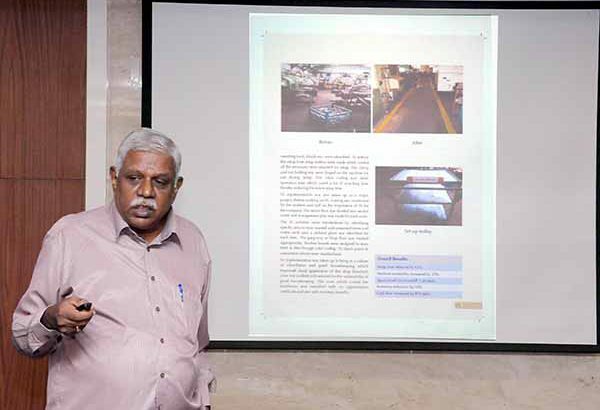 To promote the ‘Lean Manufacturing Competitiveness Scheme’ (LMCS) for Micro, Small and Medium Enterprises (MSMEs), Sri City in collaboration with National Productivity Council (NPC), Chennai organised an awareness seminar on Thursday. The seminar was inaugurated by Mr. ……….. In his presidential address Mr. ………..
“It is very heartening that NPC as the national body for monitoring and implementing of LMCS, promotes a comprehensive view of productivity in MSMEs by teaming up experts in the area of lean manufacturing and conducting awareness seminars of this kind across the country,” he added. Lean Manufacturing Competitiveness Scheme (LMCS) is a part of the National Manufacturing Competitiveness Programme (NMCP) of Ministry of MSMEs, Government of India. The scheme, which was launched in July 2009, focuses on increasing the manufacturing competitiveness of the MSMEs through the application of various lean manufacturing techniques resulting in waste reduction, lowering the costs, increased productivity, and introduction of innovative practices as well as imbibing culture of continuous improvement, which are essential for competing in national and international markets. NPC has been entrusted with the task of monitoring and implementation of the scheme. The seminar was well attended by senior executives and other officials of manufacturing companies in Sri City.